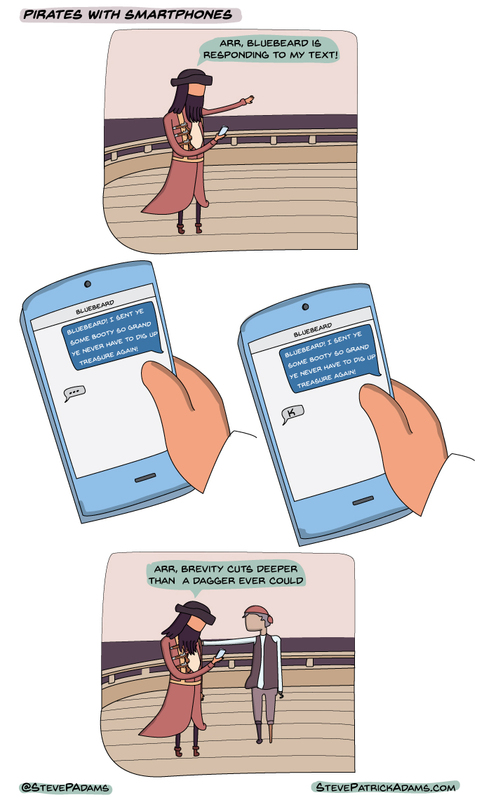 A new comic mini-series that brings smartphones to the world of old-timey pirates. There’s really not much to say beyond that. Enjoy! Heartwrenching. Why does he care what bluebeard thinks when he’s got a caring friend right there? Because he wants the approval that only another dreaded pirate can give.